A new option to be able to buy the income to the Sanctuary of Machu Picchu. This new headquarters is located in Maruri street (historical center). 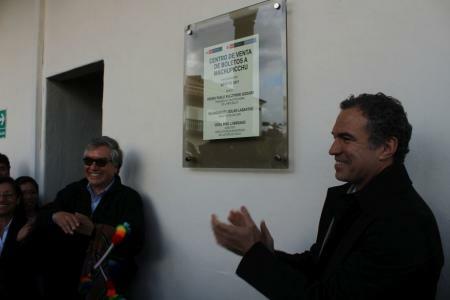 Salvador del Solar, Minister of Culture, said: "It is part of our responsibility to ensure that the people of our country and of almost every country in the world when they come to access a site of the relevance of Machu Picchu are attended with greater comfort and greater Options, we had limited options". Likewise, I also add that with this new headquarters "When people come, you can see restorers working, weavers, musicians. This will make them understand what our culture is about". With the new headquarters the city of Cusco would have two places to buy these tickets, this new one in Maruri and the previous one that already is known, which is located in the street Garcilaso (historical center).